•All of our leadership titles are conveniently put together in this powerful set •Get one for each office branch, store location or district office. Often times the very best ideas come from you, our customer. We heard from businesses and school districts who love our desktop collection and wanted a smaller 10 book collection that they could send to multiple store locations and schools. Our customers also love the dektop organizer case, so this 10 book set has it's very own platinum "cube" desktop organizer that delivers on "Wow" factor. This great collection is not only good for your own personal growth; it also makes a great gift for any key member of your team and/or your best customers. The books and the DVDs will provide a source of knowledge and inspiration for years to come and believe me, they will be impressed and you will stand out from the crowd when you give this gift to your very best customers. Attitudes are contagious. Is yours worth catching? How about your co-workers? Instill a culture of positive thinking with these three wonderful books that will have your team working more harmoniously, getting more done and acheiving goals! It's advantageous to possess a sunny outlook. Doors open to optimists. They make friends, earn respect, close sales, produce loyal clients, and others enjoy and want to be like them. The question is how can we do that consistently? That's what these 3 books are all about. Attitude Is Everything w/Free Dvd by Vicki Hitzges- Your success or failure is not about how you dress, how you look or even how you're educated. It's all about your Attitude! Vicki Hitzges speaks to large corporations around the globe teaching audiences to build better relationships, zap stress and conquer change. Now in her first book, "Attitude is Everything", she shares the 10 secrets to a positive attitude with you. "If you're a teacher, or, if like me, your life was greatly influenced by a teacher...you're going to love this book! The inspirational stories about teachers who made a difference, the photographs, the quotes and Paula's beautiful original poems, make this a gift that any teacher will treasure forever." This beautiful book makes a wonderful holiday gift, or birthday gift, for anyone who has chosen to spend their life teaching. 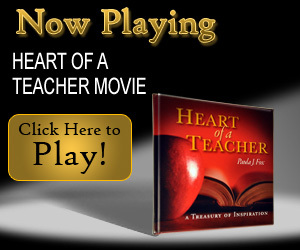 Order your copy of Heart Of A Teacher w/free Dvd today! •"While reading this book, you will begin to see life from a whole new perspective." -Jack Canfield, co-author of Chicken Soup for the Soul •This book is a road map for personal growth. Any one and any team or organization can benefit from every member mastering the "Rules of the Game." •Chérie Carter-Scott reinforces each chapter with real life examples that help to bring her "10 Rules" Life has often been compared to a game. We are never told the rules, unfortunately, nor given any instructions about how to play. We simply begin at "Go" and make our way around the board, hoping we play it right. We don't exactly know the objective of playing, nor what it means to actually win. If Life Is A Game, These Are The Rules...These Are The Rules is all about learning what Ten Rules for Being Human is all about. These are the guidelines to playing the game we call life, but they are also much more than that. These Rules will provide you with a basic spiritual primer for what it means to be a human. They are universal truths that everyone inherently knows but has forgotten somewhere along the way. They form the foundation of how we can live a fulfilling, meaningful life. I have known Dr. Chérie Carter-Scott for over 30 years. I have taken her workshop, co-sponsored conferences with her, had her consult with my organization and she has been my own personal coach. While reading this book If Life Is A Game, These Are The Rules, you will begin to see your life from a whole new perspective. If you embrace the principles in this book, I promise you that your life will magically transform and that you will learn the secrets to manifesting your heart's desire. The Ten Rules for Being Human will open up many transformational opportunities for you. Enjoy the book, learn the lessons and become a master of the game of life. Simple Truths has taken Dr. Chérie Carter-Scott's classic and made it better! If Life is a Game...These are the Rules, was #1 on the New York Times best seller list for many months. We added the graphics, made it a little shorter and as a result...created a must-have book for yourself, your team and your organization to quickly read and put these "life rules" into action. Each "life rule" presents its own challenge, which in turn, provides certain lessons we all need to learn. This nook provides a wonderful template for living a happy life! We gaurantee you will love it! Now, Mac revisits his love of quotes with a new quote book designed just for leaders.Leadership Quotes is filled with the very best quotes on the most important traits of leadership...like vision, passion, serving, integrity, and commitment to excellence...just to name a few. If you're a leader or an aspiring leader, this book will help you stay focused on what matters most.Leadership Quotes makes an excellent, timeless gift for any leader or aspiring leader you know! •Every manager, CEO, school administrator and principal should read this book. •Effective, passionate leadership requires many things. In this book, we break it down to 10 essential steps. •Leaders are like magnets. Their magnetic field is invisible but is responsible for the most notable property of a magnet: a force that pulls and attracts or repels. Which type of magnet are you? Light a match in a dark room and watch as the light instantly overcomes the darkness. Observe the power and grace of that single, solitary flame dancing with life. Now light several candles or kindle a fire and experience the added warmth and comfort extending from that first, vulnerable flame through others. This is the heart and soul of leadership-the essence of inspiring others. John J. Murphy, author of our best-selling book on teamwork, Pulling Together, follows up this best-seller with a leadership book like no other.Leading With Passion , 10 Rules For Inspiring Others will help you will find that not only are you performing better has a leader, but your team is sharing your vision and following your lead to ultimate success. People have debated for many years about the single most important characteristic or "ingredient" for leadership. The same endless debate might take place if we were to ask what the single, most important factor for chocolate cake is. Clearly, there is an argument for chocolate. There is also a good argument for eggs, flour, sugar, water and an assortment of other factors, including oven temperature and time in the oven. In fact, if any essential ingredient is missing or out of balance, the cake is vulnerable. It isn't everything it could be. The Essence of Leadership with FREE DVD •Learn the importance of humor, good habits, leading with values, hiring great people and more. The keys to successful leadership are presented in an unforgettable way. •Use for your next leadership meeting or retreat. We've done the work for you- play the movie then have break out sessions to discuss the leadership topics most relevant to your group. With great photography, inspirational quotes and stories to reinforce each point, Mac Anderson shares what he has learned about leadership in his 30 years as a successful entrepreneur. Mac is the founder of Simple Truths and Successories, the leader in employee motivation and recognition products. He is also the founder of McCord Travel, one of the largest travel companies in the Midwest. His accomplishments in these different industries provide some insight into his passion and leadership skills. TheThe Essence of Leadership with FREE DVD will provide knowledge and inspiration to any manager in a leadership role. •Think about it...when you look back at the end of your life, what will really matter? FIVE WORDS...The quality of your relationships •The 100/0 Principle, The Secret of Great Relationships, may be the most important book you'll ever read. •If you like "212, the Extra Degree," you are going to love this book! Brian Tracy said..."Eighty percent of life's satisfaction comes from meaningful relationships." Think about it...when you look back at the end of your life what will really matter? Five words...the quality of your relationships. •NEW DVD movie! Pink Bat...Turning Problems into Solutions is a must-read for everyone who lives in the world of business, or is a part of any organization •The story of the pink bat is so engaging - you and your team will be inspired to view your problems as solutions •This book is perfect for corporate event themes, sales and staff meetings, team building and is essential reading for anyone in a leadership role. •Your entire team will benefit from "Pink Bat Thinking" Everywhere you look today there are problems. Turn on your TV or computer—pick up a magazine or paper—and what do you see? Problems! Talk to your spouse, co-workers, family members or friends, and within minutes someone will bring up a problem... or two or three. Problems permeate the workplace, too—new products, old products, customer service, health care, retirement plans, sales, marketing, budgets, IT, personnel— the list of problems we confront each day is vast. Michael McMillan's newest release "Pink Bat" will turn your thinking upside down and get you and your team seeing problems as opportunities. 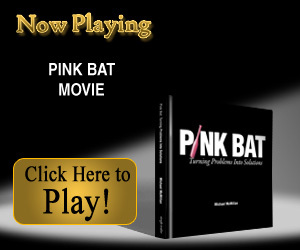 Maybe you think this idea seems impossible, but you're about to discover: "Pink Bat Thinking" makes the impossible possible. Pink Bat...Turning Problems into Solutions is a must-read for everyone who lives in the world of business, or is a part of any organization. In fact, I predict that once you read it, you'll want everyone in your company to do the same. •What gives a Man or Woman the right to lead? Can it be appointed? No, the right to lead must be earned. •Filled with stories about real people who have earned the right to lead. •A must-read for anyone in a leadership role looking to sharpen their leadership skills John C. Maxwell is an internationally recognized leadership expert and author, who has sold over 13 million books. He speaks to many fortune 500 companies and his organizations have also trained over 2 million leaders world-wide. In The Right To Lead , you will read about people who have earned the right to lead others. They became effective leaders not by making other people follow, but by making themselves the kind of person people would want to follow. This book is loaded with stories, quotes and "nuggets of wisdom" for anyone wishing to sharpen their leadership skills. beautifully designed , The The Right To Lead makes a terrific holiday gift for any leader or anyone who aspires to become a leader. •"For the strength of the Pack is the Wolf, and the strength of the Wolf is the Pack." - Rudyard Kipling •What would happen in our business and our personal lives if we worked together towards a common goal like the wolf pack works together for survival? •Explore the characteristics of this majestic creature in this breathtaking inspiring book. •A perfect book for your next leadership retreat. Twyman became interested in wolf packs after a grueling consulting project where the corporation he was working with had a group of executives trying to one-up one another and were generally stabbing each other in the back to get ahead. When he turned on public television that night he was transported to a different world, the milieu of the wolf pack, where teamwork, loyalty and communication were the norm rather than the exception. Change is Good... You Go First : •This book will help you and your team manage change – not have it manage you! •Shake up the status quo in your organization! Filled with real life stories from top companies who dared to say "No" to business as usual, and ultimately succeeded. •Kick off your meeting theme or leadership retreat with this motivational movie and create your theme around the books' 21 ways to inspire change. •Recommended reading for any organization who wants to stand out from the competition and develop new ways of thinking about how to succeed in today's economic times. Deciding to make changes is the easy part. Getting your people on board is much more difficult! This creative book will help you inspire your team to embrace change and realize change can be good! •Recently one of our clients shared their success with instilling the 212º philosophy through out their organization. Click here to download the full report. •Learn how the 212 approach to life will impact your business and your life •Use the 212 - The Extra Degree with FREE DVD to open your next team meeting and give the book as a meeting takeaway •Recommended reading for team building, personal development, sports teams and schools. At 211º water is hot. At 212º, it boils. And with boiling water, comes steam. And steam can power a locomotive. The one extra degree makes the difference. This simple analogy reflects the ultimate definition of excellence. Because it's the one extra degree of effort, in business and life, that can separate the good from the great. This powerful book by Sam Parker and Mac Anderson gives solid examples of how to incorporate the 212º philosophy into all aspects of your life - at work, with friends and as a parent. Great quotes and great stories illustrate the 212º concept in a memorable format. A warning… once you read it, it will be hard to forget. •Now with new DVD movie! A wonderful way to kick off a comany meeting! Click here to view. •What are your personal core values? How about the core values in your organization? 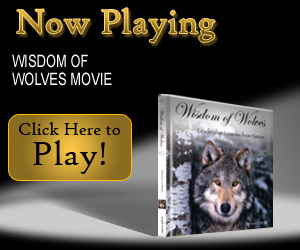 Good to the Core with free Dvd will take you on a journey to realize those core values. "When personal values and organizational values align...exponential value is realized." - John Blumberg •A great resource for trainers and leaders in your organization. Each chapter has a "Core Challenge" for you to work on personally or as a team. Go at your own pace - take on a chapter or two a week or use at your next corporate leadership retreat. •John Blumberg is a Certified Speaking Professional who has worked with corporations all over the world sharing insights on developing leaders of substance and building cultures of genuine service. On the surface, the concept of values is easy to understand. Most of us want to be good to the core. But it is more challenging than it appears on the surface. How do you go about identifying your core values? How do you reinforce those values? How do you integrate them into the fabric of your life and the culture of your business? So many times, it's not what you say, but how you say it that turns the switch from "off" to "on." And John Blumberg has "nailed" this all important topic of "building value with values." And, if there was ever a time in the history of this great country that we need to re-visit our core values...the time is now. Good to the Core with free Dvd is a great book for everyone in your organization to read...and re-read. Because without core values, and your commitment to reinforce those values, there can be no long-term success...in business or in life.